By studying languages in contact, we can observe one language while revealing hidden features of another. This was the original idea of the two Slovene-Croatian phonetic and phonological bilateral projects, which connected various Slovene and Croatian phonologists. 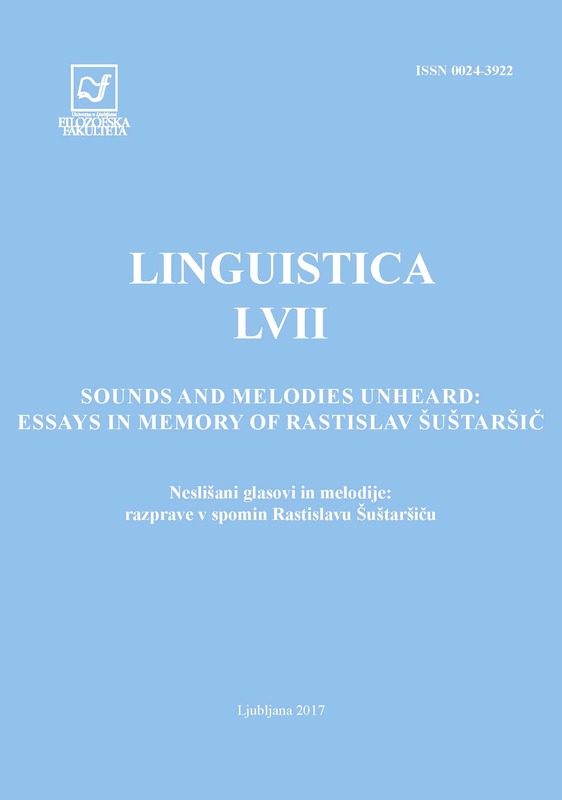 This paper highlights the work of Rastislav Šuštaršič, who continued his contrastive research of English and Slovene in contact within these projects. Several open issues of the Slovene standard language were also at the centre of his research interests, including the issue of tonemic accent in Slovene, which he studied mainly in collaboration with H. Tivadar. The findings of their works underlined a gap between the explicit norm and language use, which future codifiers of the Slovene standard language should take into consideration.